I've given up on waiting for spring, it's just taking too long to come around. So despite the rain and wind, I've started trying to sort out my garden this week. My first job was to dig out a bed, and luckily I had a glamorous assistant to help me. We got her this gardening set for her birthday and I think it was a very wise investment. 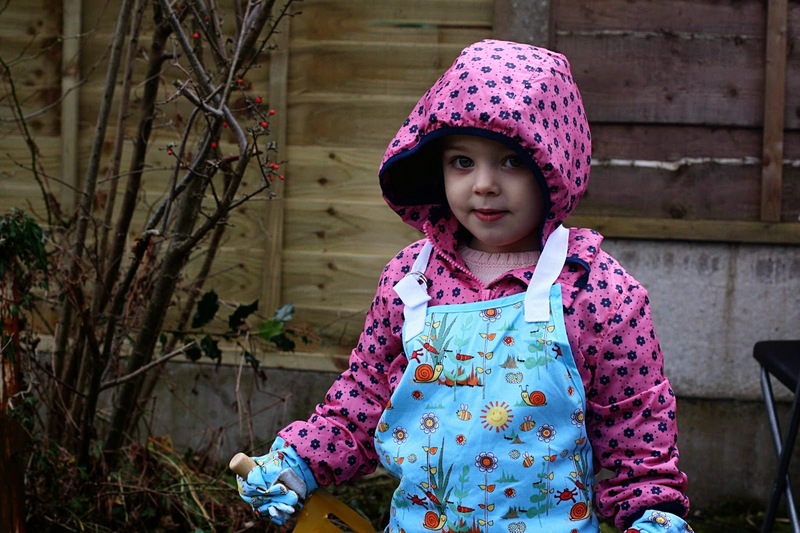 While I was busy lugging heavy paving slabs across the garden, Ebony was entertained with her spade and fork. I'm hoping it will provides hours of entertainment this year, because my garden needs a lot of work.